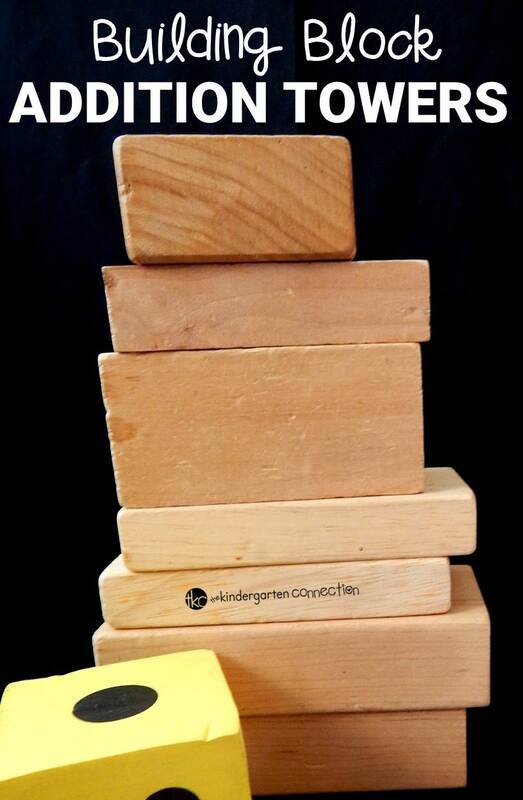 I am always looking for ways to make learning fun, and I have tons of kids this year who love blocks, so I knew that incorporating them into our learning would be a hit! 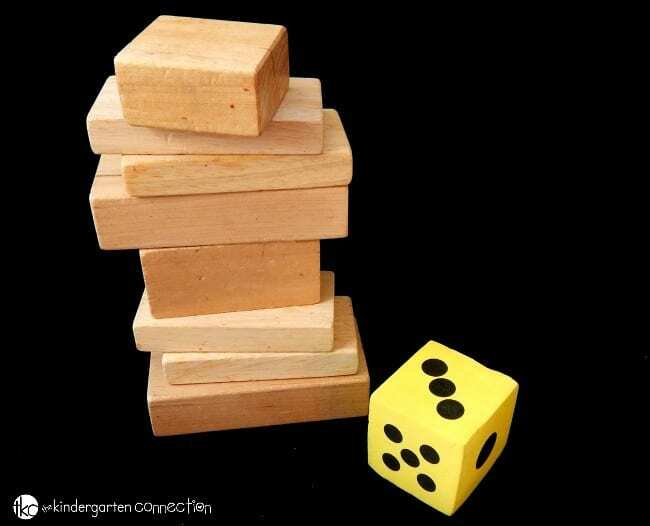 A perfect partner to Lego tower subtraction race, this building block addition tower game is great for practicing the concept of addition in a hands on, engaging way! 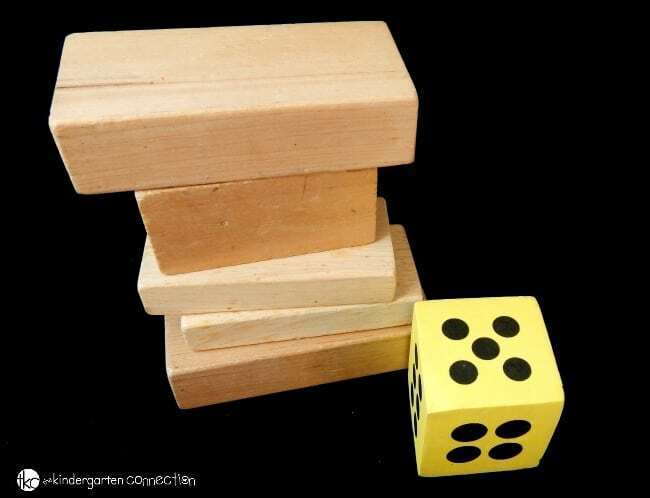 I played this game in a small group, but you could also have it be in a math station or play it as a partner game. First, we rolled the die. We rolled a 5, so we stacked up 5 blocks. This is great for one to one correspondence or as a counting game too if you are needing to differentiate it for your kids. Next, we rolled the die again. This time we rolled a 3. So we stacked up 3 more blocks! Now you have some choices – you can talk about the equation and use that language (ex: We had 5 blocks, plus 3 more, now we have 8!) or you can also keep rolling and adding to see how high your tower can go! You could also have your kids bring small white boards to the game and write each equation after the dice rolls. It’s up to you and whatever works best for your kids! I chose to first have them just keep rolling and stacking. It gets them excited, and gives them a good example of example that when we add more, we keep having a growing set. Then I moved into just rolling twice and talking about the equations. 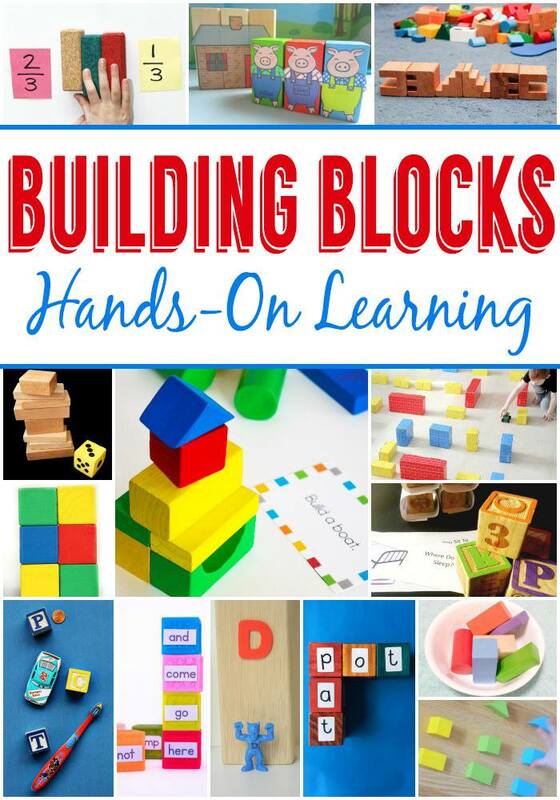 Looking for more fun, hands on learning activities using blocks? Check out these fabulous ideas from some awesome kid bloggers as part of the #toolsforlearning series! A great activity that takes zero preparation time!